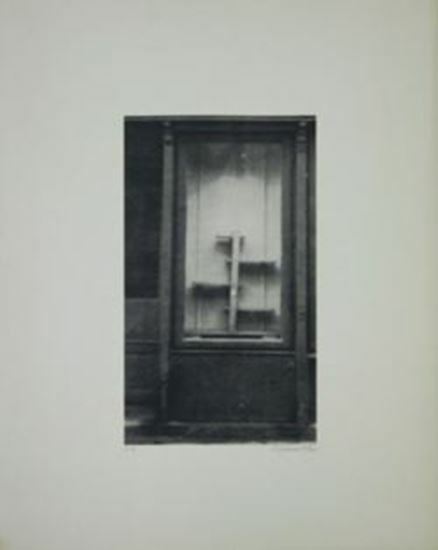 Josip Vaništa - Izlog / Shop Window. Motive from Gorgona Magazine no 1. Framed in nice, quality nature frame. Manji otisak / flekica na sredini, vjerojatno od kapljice. Printed for first Gorgona retrospective, Gallery of Contemporary Arts (today Museum of Contemporary Arts), Zagreb 1977. Motive from Gorgona No 1.